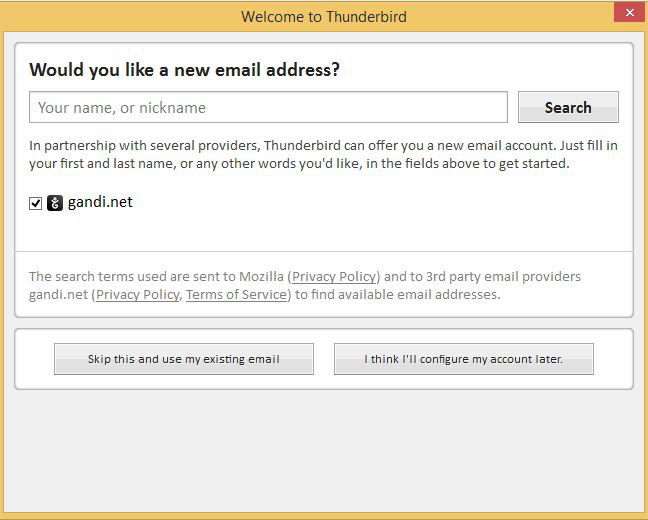 To configure an email account for the first time in Thunderbird please follow the steps below. Once you have successfully installed and launched Thunderbird, you should see the screen below. 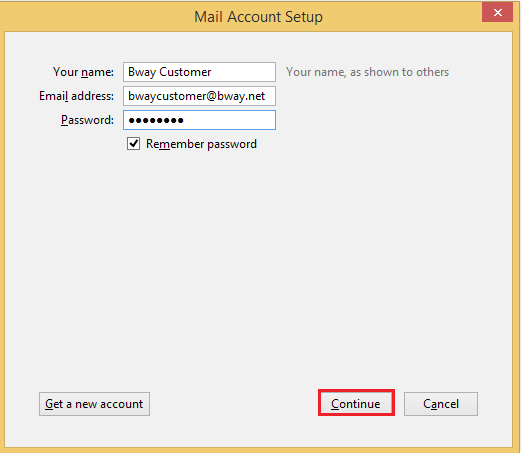 To start setting up your Webmail account please click on “Email” which has a small envelop to the left. A screen should pop-up welcoming you to Thunderbird and offering a free email address. Please click on “Skip this and use my existing email”. 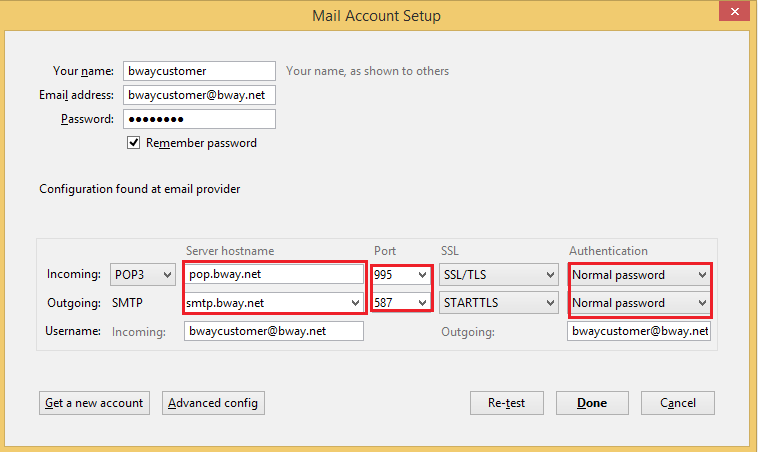 After clicking on continue, you should have the option between account types IMAP and POP. In parenthesis it tells you a basic idea of each account type. On an IMAP account your emails are kept on a remote sever and synchronize across all your devices. 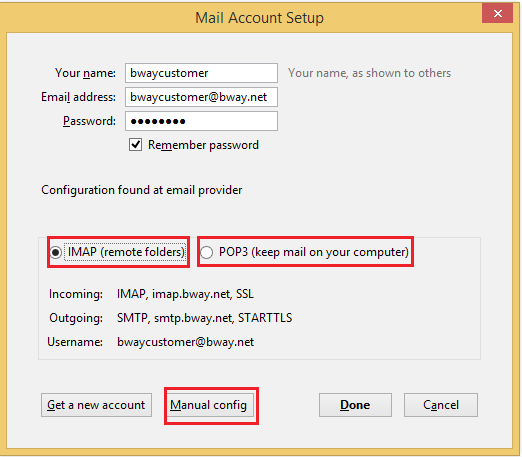 On a POP3 account your emails are downloaded from the server to your computer or device. Thunderbird will automatically pull the settings from our server for easier configuration. You may click on “Manual config” to verify your settings. 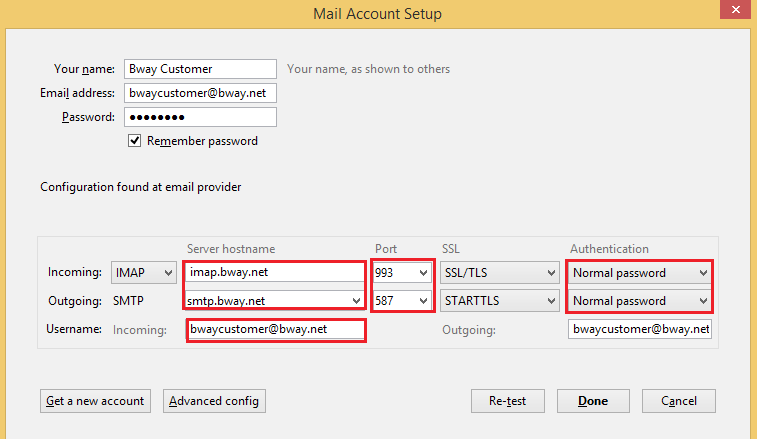 For IMAP, make sure everything is set up as show on the picture above. For POP3, make sure everything is set up as show on the picture below. Click “Done” and you’re ready to start using your bway email account on Thunderbird. If you need help setting up your bway account on Thunderbird, please email tech@bway.net or call 212-982-9800.